PE Explorer News and Updates: Delphi Resource Editor, PE Editor and Binary Header DLL Resources Viewer Extractor. PE Explorer was named the winner of the 2010 Epsilon Award at the 10th annual European Software Conference. This exciting news was announced on November 6th, 2010 at the European Software Conference in Vienna, Austria. Each year, the Epsilon Award recognizes the best software application from the European software and MicroISV community. Programs are nominated by software developers, a peer-review process that ensures that only the highest quality software is considered for the award. PE Explorer is now Windows 7 Ready. 64-bit files will only be available in version 2. Added the options to mark blocks as Byte, Word, DWORD, QWORD and GUID. 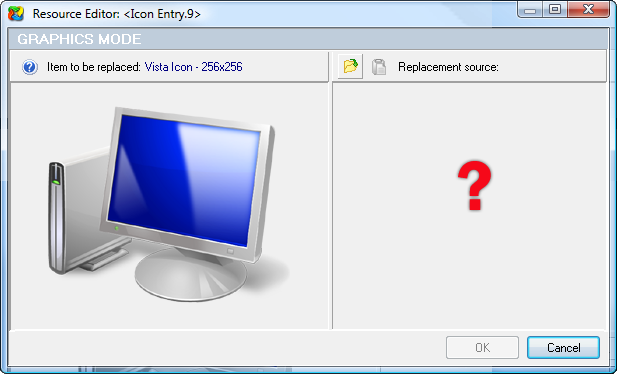 Bugfix: Fixed UI errors under Windows Vista. Bugfix: Fixed occasional deadlock when quiting PE Explorer. Added the Characteristics Editor to view or set flag bits in the Characteristics field. Now supports for UPX v3.03. Added the NsPack Unpacker plug-in. Bugfix: when displaying multilingual StringTables the string indices would be displayed incorrectly. Now supports for scrambled files originally compressed by UPX v3.01. Version 1.99 delivers new features and enhancements, including a digital signature viewer and the ability to mark pre-Vista applications with a requested execution level. Now supports creating a resource section in files that don't contain a resource table. Bugfix: Fixed errors that occurred when saving files with the first section of zero length.  Now supports for files packed with the obsolete early versions of UPX (prior to 0.80).  Now attempts to recover a file, even when an original PE file header entry is no longer available after unpacking.  Added the Set to Zero button to make removing a pointer easier. PE Explorer has been added to the Windows Server Catalog by Microsoft. The Windows Server Catalog is Microsoft’s single online source for customers to find software that is compatible with Windows Server 2003.